Try this flavorful sweet and tart spread over bagels and cream cheese with your morning coffee. Great to dollop over fresh baked biscuits, too. Creative? This is perfect to brighten a cream cheese frosting over cupcakes! Bump up our mild Cherry Salsa with our medium spiced variety and add a little BAM to your taste buds! You'll be the star of all your holidays, parties, and events with this flavor blast salsa! A tropical medley of pineapple, mango, mandarin and raw coconut from the Brazilian Islands. The Barn Fragrance Diffuser is an elegant home decor piece as well as an air freshener! The rattan reeds continue to draw the oils and naturally dispense fragrance into the room for 4 to 6 weeks. Turn reeds occasionally to refresh fragrance. Our signature scent is an aromatic blend of freshly cut apples, juicy oranges, spicy and rich cinnamon, orange clove and colorful cranberries.The Barn Fragrance Diffuser is an elegant home decor piece as well as an air freshener! The rattan reeds continue to draw the oils and naturally dispense fragrance into the room for several months. Turn reeds occasionally to refresh fragrance. A tropical medley of pineapple, mango, mandarin and raw coconut from the Brazilian Islands.Enjoy an instant burst of fragrance! Our water-based room & linen spray is safe for most fabrics and will freshen any space. Oh Christmas Tree you smell so wonderful. This will take you back to those days when you had a real tree and it smelled so great that you forgot you would be picking up needles well into the summer. All of the smell but no needles to pick up.Enjoy an instant burst of fragrance! Our water-based room & linen spray is safe for most fabrics and will freshen any space. We have grouped together this set of Barn Bricks for you. They have a unique crystalized appearance that you are sure to enjoy. When they are cool, they easily pop right out of your melter making it easy to change your fragrance often. Sleigh bells ring, snow glistening, get in the Christmas Spirit with this Holiday collection. The Winter Wonderland Barn Brick Set includes Christmas Splendor, Jack Frost and O' Christmas Tree. We have grouped together this set of Barn Bricks for you. They have a unique crystalized appearance that you are sure to enjoy. When they are cool, they easily pop right out of your melter making it easy to change your fragrance often. A relaxing stroll through a beautiful butterfly garden. The Springtime Barn Brick Set includes Cherry Blossom, Lilac and Butterfly Meadows. We have grouped together this set of Barn Bricks for you. They have a unique crystalized appearance that you are sure to enjoy. When they are cool, they easily pop right out of your melter making it easy to change your fragrance often. Picture fresh baked pies and a feast before your eyes. The Thanksgiving Barn Brick Set includes Pumpkin Pie, Maple Pecan and Crackling Embers. We have grouped together this set of Barn Bricks for you. They have a unique crystalized appearance that you are sure to enjoy. When they are cool, they easily pop right out of your melter making it easy to change your fragrance often. Your home will smell like a bakery full of savory sweets. 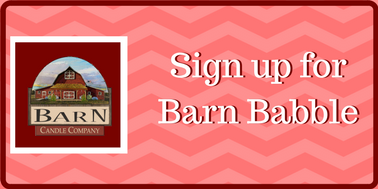 The Oven Fresh Barn Brick Set includes Grandma's Kitchen, Cranberry Muffin and Apple Butter.